IT is without fail that I would visit PURE London, the biannual fashion trade fair held at Olympia London — always on the lookout especially for talent from Malaysia. In the past, there were handbags from The Selina, Victoria Sloane, dazzling designs from Syomirizwa Gupta and Mimpi Kita as well as Raja Nadia’s Aere, where you get to hear the wonderful stories behind her collections. There were more surprises this year. 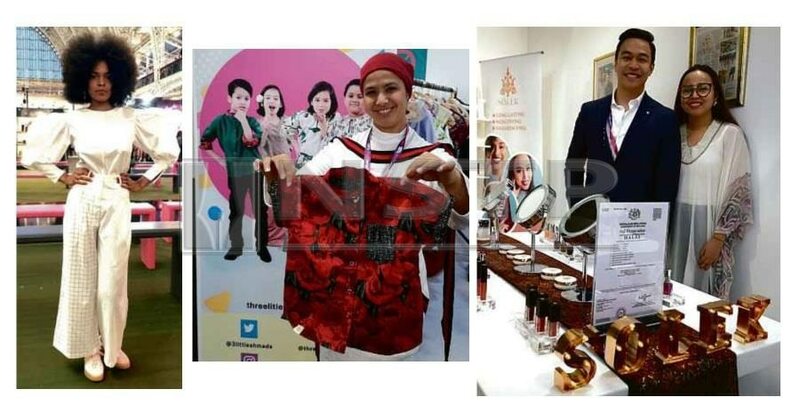 While there were newcomers such as SO.LEK Cosmetics, Datin Azrene Ahmad’s Three Little Ahmads and Lana Kuala Lumpur, there were familiar faces, such as Nelissa Hilman’s shoes, Yans Creations and Maglifstyle, who knew that exposure at one of Europe’s fashion trade events would take them far. Yani of Yans Creation, her fourth appearance at PURE London, had only a day after the London event before she packed her bright and colourful ethnically-inspired collection for the catwalk of New York. “This is probably the best season so far!” gushed Suraya Sharifuddin of Maslea and Sakura designs who brought some talent to PURE London this year. Her company, The ArtfulBrains Sdn Bhd, has signed with ITE Group, the representative for Pure London, Scoop, Jacket Required, Spring Fair and also Moda Birmingham, promising more exciting ventures for Malaysian designers under her wings. “I’m seeing a lot of progress, our brands are progressing into capturing and expanding their market share. We as the representative are also being acknowledged into representing more shows. “Local brands are seeing the need and the benefit of expanding globally,” she said after the show, mindful of the fact that there’s still a lot of work to convince local brands to scale up. The design industry has indeed been the catalyst for the change in career paths for some people. Over the years, I have met lawyers who turned designers, public relations ‘sifu’ turned designers of handbags and this year, I met banker Dahlia Nadirah and her engineer brother Luqman Johari. halal cosmetic industry with their SO.LEK Cosmetics, a play on the Malay word for make-up, with nostalgic names for their gincu or lipsticks, such as Normadiah, Kasma Booty, Yatimah and Salmah — transporting you back to the white and black era of Malay movies. With the UK halal industry making a whopping £1 billion a year, there will be no regrets about coming to showcase their products here. SO.LEK Cosmetics, which was established in 2016, will be available on PureModus, an online/ eCommerce platform next month, bringing the products to buyers in the UK, said Dahlia, adding that they are still in discussion with other companies and awaiting confirmation. “From Pure London, we had people from UK itself, France, Africa and Saudi (Arabia) that are interested to bring SO.LEK on board, but then again, we would need to do some research for long-term collaboration with suitable partners. Overall, we are happy with the response and the invaluable experience in our first international exhibition outside Malaysia. We hope with the success that comes with future collaboration, we will be able to promote Malaysia in the global market for cosmetics,” said Dahlia, whose products received the halal certification from Jakim. Another eye-catcher and newcomer to PURE London was Three Little Ahmads, the brainchild of Datin Azrene Ahmad with clever designs of reversible children’s clothes not only for the able-bodied, but also for special needs children. This image consultant turned designer, who is experienced in working with the natural human body, body shapes and challenges of able-bodied people and disable bodied people, saw a niche market in the need for clothing for children who suffer from conditions such as autism and muscular dystrophy. “Our designs are autism-friendly, no labels to irritate the skin. People with autism have a heightened sense of sensitivity. The clothes are also economical as they are reversible. And for children with muscular dystrophy, our shirts with magnetic closures will help them to dress,” said Azrene, whose presence at PURE London primarily for exposure to different concepts and ideas had been most useful. 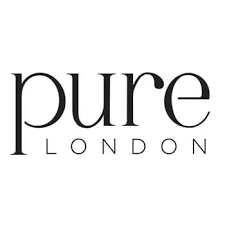 PURE London, which is held every February and July, attracts over 17,000 visitors, displaying over 1,300 womenswear, mens-wear and kidswear collections and 160 garment and fabric suppliers from 13 countries, including Italy, Mauritius, Turkey, Portugal and Taiwan. For sisters Wong Shiau Lee and Wong Yen Lee, after a break from PURE London in 2017, they came back with their stunning collection which was snapped up by a buyer from Saudi Arabia. Maglifstyle’s Capsule collection consists of tops, pants, skirts, dress and jumpsuit in pinstripes. Their favourite for working women in their 20s and 30s was a white top paired with checked and striped trousers. In the pipeline was also an enquiry from a buyer who supplies UK’s TKMaxx! Indeed, Malaysian designers’ exposure to the UK and European markets could not have been done without the help of Malaysia External Trade Development Corporation (Matrade). Fashion Industry through our export development and export promotion programmes. This includes programmes such as Exporters Training Programme, New Exporters Development Programme, eTrade Programme, Go-Ex Programme, Market Development Grant (MDG), etc., where Malaysian fashion entrepreneurs are nurtured and supported to be competitive globally, strengthen their access to markets as well as making them global champions. “Furthermore, through our network, we have also reached out to the fashion business community in the UK to meet up with Malaysian entrepreneurs,” said Megat Iskandar Ahmad Dassilah, Trade Commissioner in London. PURE London will certainly see a lot more of Malaysian designers in their shows in the future. There has never been a lack of talent and innovation.